In recent years, forensic neuropsychology has become a practice area of explosive growth and interest. This text elucidates the practice of forensic neuropsychology for those who need to understand the scope and limitations of this field. 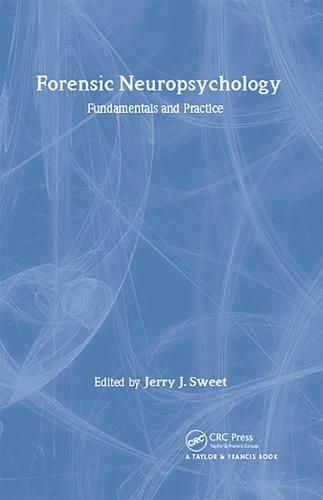 Fifteen chapters by neuropsychology and legal experts organized into four sections (Fundamentals, Practice Expertise, Relevant Populations, and Parameters of the Legal Arena) convey authoritatively a breadth of relevant information and the state-of-the-art of forensic neuropsychology. Topic coverage includes essential psychometrics, evaluation of premorbid function, personality and emotional functioning, complexities of executive functions, variables affecting decision-making, clinical and scientific foundations of the neuropsychological evaluation, differential diagnosis, malingering, ecological validity, mild traumatic brain injury, neurotoxin-related encephalopathy, special pediatric issues. Forensic Neuropsychology will be useful for: practicing clinical neuropsychologists and those in advanced training, plaintiff and defense attorneys whose practices include brain injured individuals, and other health care providers in non-psychology disciplines (e.g., psychiatry, neurology) who are providing expert opinions in litigated brain injury cases, and in doing so use and interact with opinions of neuropsychologists.